In Xi Jinping’s China, only one star shines most brightly, making times less friendly for charismatic business leaders. On the morning of Monday 10 September, China’s most famous billionaire announced plans to step down as head of the company he founded. 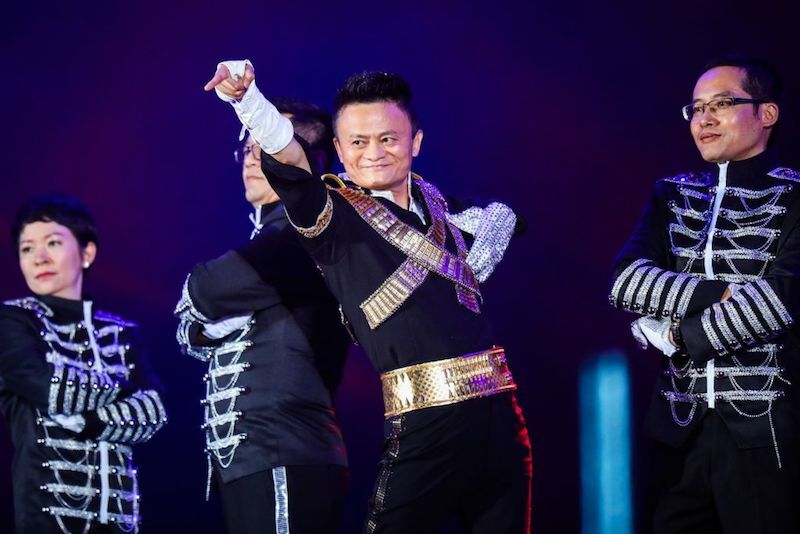 Jack Ma (马云) revealed he would leave his role as executive chairman of Alibaba Group, the e-commerce and internet behemoth that he has led for its entire 19-year existence. In a letter to the 86,000 employees of Alibaba, Ma stated that he would remain as executive chairman for a transition period of one year, at the end of which he will hand the reigns to Daniel Zhang, who has served as CEO of the firm since replacing Ma in that role three years ago. Ma also announced in the letter that he intends to continue to serve on the company’s board of directors until its annual meeting in 2020. In a heartfelt and eloquent letter characteristic of the charismatic entrepreneur, he expressed gratitude for, and confidence in, the organisation of whom he has been such a public face. This transition demonstrates that Alibaba has stepped up to the next level of corporate governance from a company that relies on individuals, to one built on systems of organisational excellence and a culture of talent development … No company can rely solely on its founders. Of all people, I should know that. Because of physical limits on one’s ability and energy, no one can shoulder the responsibilities of chairman and CEO forever. While it is yet unclear as to what exactly the future has in store for both Jack Ma and Alibaba, this will certainly mark the end of an era for the man, the company, and the Chinese business, internet, and technology culture of which they have been arguably the most central figures. A former English teacher with a knack for inspirational public speeches delivered in both English and Chinese, Ma has used his natural gifts as an educator as a way to build his brand as a business leader. Alibaba employees, as well as many in China’s business and tech community, famously refer to him as “Teacher Ma” (马老师), and his lessons on resilience, dedication, and success have developed a cult-like following among many of the country’s aspiring entrepreneurs. Ma seems to be planning on continuing his legacy as a teacher through education-focused philanthropic endeavors. “I also want to return to education, which excites me with so much blessing because this is what I love to do,” he explained in his letter. The world is big, and I am still young, so I want to try new things – because what if new dreams can be realised?! While Daniel Zhang moving into the Alibaba corner office, it is difficult to imagine him building the same cult of personality that his predecessor did. Known as a mild-mannered and logical operator, Zhang is credited as the mastermind behind many of the moves that have turned e-commerce in China into not simply a trillion-dollar industry, but a lifestyle as well. “Singles day”, Alibaba’s annual festival of online-shopping madness taking place every 11 November, is reportedly Zhang’s brainchild. Ma is known for his showmanship, big ideas, and desire for the spotlight, but his nominated successor Daniel Zhang seems to prefer the spreadsheet to the stage. Ma is known for his showmanship, big ideas, and desire for the spotlight, but Zhang seems to prefer the spreadsheet to the stage. Respected for his fondness for numbers and the day-to-day of business operations, Zhang joined Alibaba in 2007 as the finance head of the company’s Taobao marketplace, which he helped grow into the world’s biggest e-commerce website, and the ninth most-visited site in the world. Zhang himself has discussed his differences in temperament and personality with his long-time boss. In an interview last year with The Financial Times, Zhang remarked that in contrast to Ma’s creativity and passion for new ideas, he himself has always been “the guy who wants to keep (his) foot on the ground”. Zhang’s low-key style may be more appropriate for the business and political environment in which larger-than-life business leaders seem not to be celebrated in the same way that they once were. It is often rumoured among the Chinese tech community that Jack Ma has not had as positive of a relationship with China’s current political leadership as he did with those who were previously in power, in contrast with Tencent chairman Pony Ma (马化腾), whose subdued, steady demeanor appears to be more to Beijing’s liking. As China deals with a troubled economy and trade tensions abroad, the propaganda-fanned personality cult around Xi Jinping has been ramped up to levels not seen in China since the days of Mao Zedong. Other high-profile political leaders have been purged, strict guidelines have been given for celebrity behaviour, and a crack-down on religion is also underway. It is clear that in Xi’s China, only one star can shine most brightly. For charismatic leaders such as Jack Ma, the environment is less friendly than it used to be. China's new aircraft carrier, Ivanka Trump at W20, India's Quad concerns and more. Seen as a cleanskin, Atmar would have a colossal job to convince international donors to keep up support. If Japan caused headaches, a fight with China about activists at sea will be very awkward for Australia.